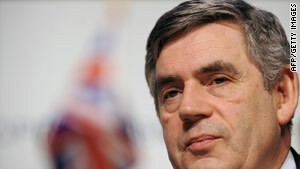 British Prime Minister Gordon Brown wants to discuss Yemeni radicalization and the nation's other hardships January 28. London, England (CNN) -- British Prime Minister Gordon Brown has called for an international meeting January 28 to discuss how to counter radicalization in Yemen, his office at 10 Downing Street said Friday. His request comes after the failed Christmas Day terrorist attack aboard a plane in the United States, the office said. U.S. government sources have said the suspected bomber, now in custody, has ties to extremists in Yemen. The attack "has galvanized [the prime minister's] determination to learn from terrorist attacks and do all that is possible to maintain security and safety across the world," Downing Street said in a statement. The meeting will be a "stand-alone, high-level meeting," but it will coincide with an international conference on Afghanistan, which Brown was already planning to host. Both meetings will be in Britain. "I have said before that Yemen -- as both an incubator and potential safe haven for terrorism -- presents a regional and global threat," Brown wrote in an article for the new year. "To this end, we are already building further our support for the government of Yemen's efforts to tackle the underlying causes of the terrorist threat through intelligence support, training of counterterror units, capacity building and development programs." The Yemen meeting will try to encourage donations to Yemen to help build "government capacity" and provide development support to areas most at risk of radicalization, Downing Street said. It will identify counterterrorism needs faced by the Yemeni government and seek commitments to train Yemeni forces and help coordinate counterterrorism in the region, it said. The meeting will also try to help Yemen with wider challenges such as economic, social, and political reform.